Viewing 24 of 42 items. 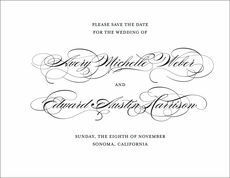 When you’re ready to let your loved ones and friends know where and when, these save the date announcements are the perfect way to let everyone know the future details. Size is 4.5" x..
A Stationery Studio exclusive! 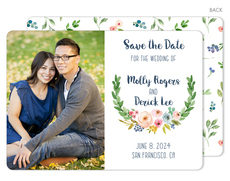 Announce the date of your upcoming wedding with this set of photo save the date cards. 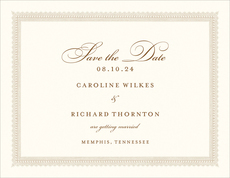 Matching blank horizontal flap white envelopes are included. You select.. 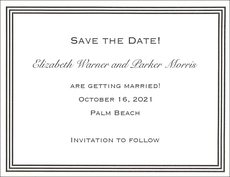 When you’re ready to let your loved ones and friends know where and when, these save the date announcements are the perfect way to let everyone know the future details. Size is 4.25" x.. 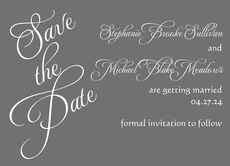 The words Save the Date appear as shown on the card... but we put in your special date in the box. Set of 50 cards in your ink color selection. Printed on heavy white stock. Blank white envelopes.. 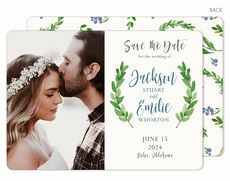 When you’re ready to let your loved ones and friends know where and when, these save the date cards are the perfect way to let everyone know the future details. Size is 4.25" x 5.5". .. 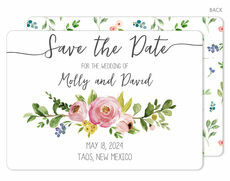 When you’re ready to let your loved ones and friends know where and when, these save the date announcements are the perfect way to let everyone know the future details. Size is 5.5" x..
A Stationery Studio exclusive! 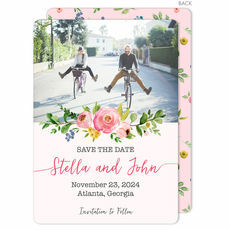 Announce your upcoming wedding with a fun photo and a pretty floral design so friends and family can save the date. 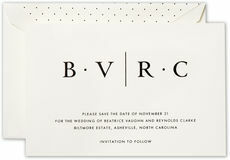 Matching blank horizontal flap white envelopes are..
Set of 25 flat cards featuring your announcement framed with a triple border. 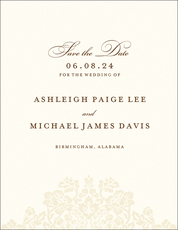 The border design and the announcement text is imprinted with a letterpress method on luxurious 100% cotton stock. Card..
A Stationery Studio exclusive! 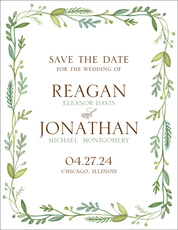 Announce the date of your upcoming wedding with this set of pretty save the date cards. 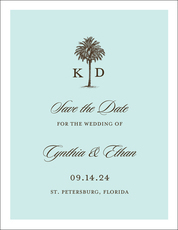 Matching blank horizontal flap white envelopes are included. You select..
A Stationery Studio exclusive! 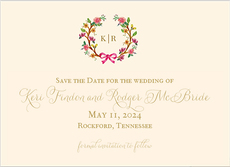 Announce the date of your upcoming wedding with a pretty floral design on these photo save the date cards. Matching blank white envelopes are included. You select.. 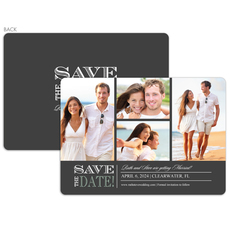 Announce the news of your wedding with friends and family with this set of photo save the date cards. Blank white envelopes included. Back of cards are fully designed as shown on sample. Size of cards..
A Stationery Studio exclusive! 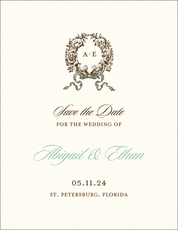 Announce the date of your upcoming wedding with this set of save the date cards. Matching blank white envelopes are included. You select announcement shape wanted. This.. 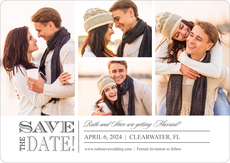 Announce the news of your wedding with friends and family with this set of photo save the date cards. Matching blank envelopes are included. Back of cards are fully designed as shown on sample. Size.. 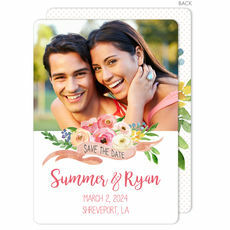 When you’re ready to let your loved ones and friends know where and when, these save the date announcements are the perfect way to let everyone know the future details. Size is 5" x 7"..
A Stationery Studio exclusive! 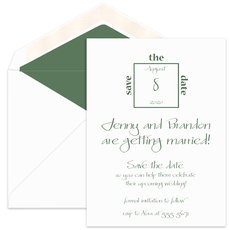 Announce the news of your upcoming wedding with friends and family with this set of save the date cards. Matching blank white envelopes are included. You select..
A Stationery Studio exclusive! 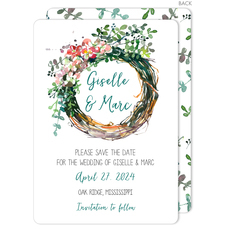 Announce the date of your upcoming wedding with this set of beautiful photo save the date cards. Matching blank white envelopes are included. You select announcement..
A Stationery Studio exclusive! 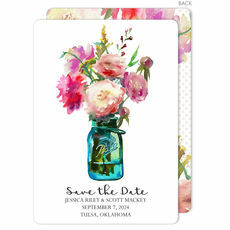 Announce the date of your upcoming wedding with these floral themed cards so friends and family can save the date. 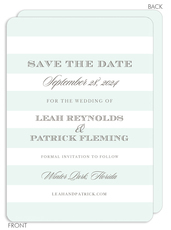 Matching blank horizontal flap white envelopes are..